To filter out some of the entries that don't have as much effort put into them there will be a $5 entry fee, which is to be donated through the donation system on this site. We will put up a separate donate option specifically for this purpose that will go live next week. Any extra donations to help aid to the prize pool are much appreciated. Multiple entries are allowed ($5 per entry). Each video entry must either have the official THF MC 2016 entry logo central in the intro portion of the video or use the official THFMC2016 intro at the start of the video. We dont want to obstruct creative intro concepts so you may play around with the logo to help incorporate it into your intro (colors, shape etc.) 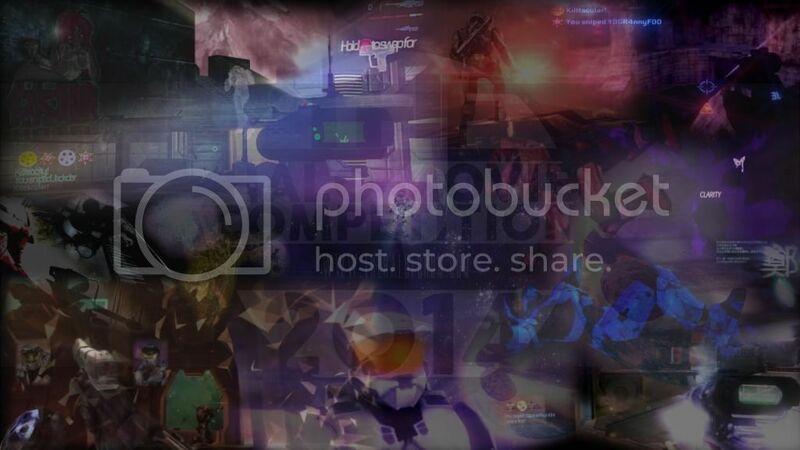 as long as the text (thehaloforum.com Montage Contest 2016) is fully legible and the concept (crown, video, spartan helmet, laurel leaf) is intact (Example). For this purpose we give you the .ai file as well as a .png. We're a Forum, so making a thread for your video is the logical thing to do to have people see it and give you feedback. However after that to have all entries at a single click we're also using the Videos Feature on the site. When you go to the page you can submit a video. In the video description paste the download link to the video file so we can secure our access to the video and give it more exposure to our community by uploading it to our YouTube channel. Dont upload it to the site (source file). Enter the discussion thread, just start typing the first words of your existing thread's title and it should auto fill the rest. Click Save and wait till one of our editors Publishes your submission and thus legitimizes the entry. You're done, await the deadline and enjoy all other entries flowing in! *will be added within a week, you can release your montage now (with the logo) but will have to wait to register when we have the set-up ready. You are allowed to enter videos with any combination of Halo CE, Halo 2, Halo 2A, Halo 3, Halo Reach, Halo 4 or Halo 5 gameplay (Xbone or otherwise). The video must be of a compilation/montage fashion (so jumptages: yes, pure machinema's: no). Entries are expected to have new, unreleased gameplay. We're not going to pull every resource to check, but its not the idea to just reuse all your best clips ever. A selection of judges grade all entries on the subcategories, which adds up to an overall score. We will use that score to seed the public voting brackets for the Best Video winners. This will ensure that the best videos will not eliminate each other early on, and each heat is fairly proportional to each other. In these voting heats the top half will move on to the next round. The Judges will be discussing and doing voting of their own to decide the winner of every sub category (editing, gameplay, originality). Judges MAY enter videos but they will not be eligible for any sub category awards. All entries have to be registered by our staff at midnight Pacific time of September 1st. This will allow us to run the public voting in the summer and makes things less dragged out than the last contest. For a history of the THF Montage Competitions see this Article. As you can see the big competition returned after some time in 2014. This rendition did not limit entries to one Halo game which gave us the greatest boom in montaging since the prime Halo 3 days. The top 25 of videos in that contest were all insane. This community has pride and passion for Halo Montages like no other. Pretty much anyone making halo montages was inspired by montage makers from this forum. So to be a part of the THF Montage Contest 2016 makes you a part of that history, and makes you one of those video makers that inspires the next level of montages like the THF montage contests do. Be sure we're in for nothing less than amazing content and jaw dropping moments. There's bound to be some who have been saving their clips for one big video, or bettering their After Effects skills waiting to show up big. Hopefully this will give them a reason to put in the work and make something legendary. And even then one creative feel good fiesta could win it all like Midpoint almost did when he got that insanely close 3rd spot in 2006. The 2014 contest made everyone appreciate how much it matters to have that catalyst again and how satisfying it can be to be a part of it. We're very happy to be able to bring it back to the community again. We hope you'll support the organizers by being pro-active in your involvement, it saves us a lot of time and mental strength when everyone thinks along instead of having to give personal time to everyone wanting to enter. Thanks!